Keaton Tyler recently joined our team as a student intern. She is currently pursuing her a B.F.A in Interior Design at Maryville University and will graduate in fall 2018. When we asked her why she chose design, she said “I have been interested in design since I was little. My Mom always says that we lost square footage in my rooms because of how much I repainted.” She leads a busy life with school, church, LuLaRoe and family, but she says that she enjoys every second of it. 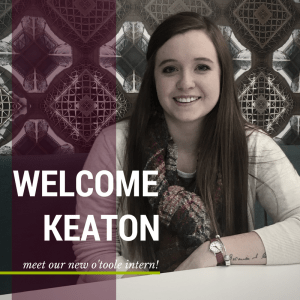 Welcome aboard Keaton!